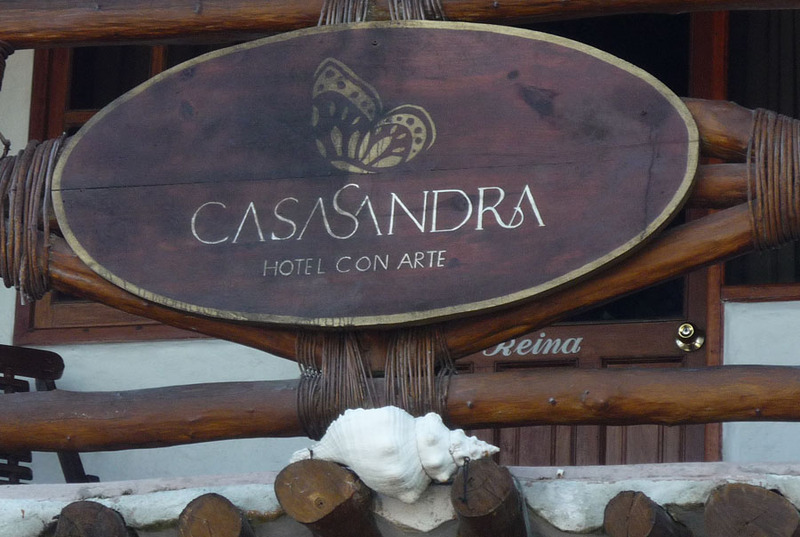 We stayed at CasaSandra on Isla Hobox for three nights. 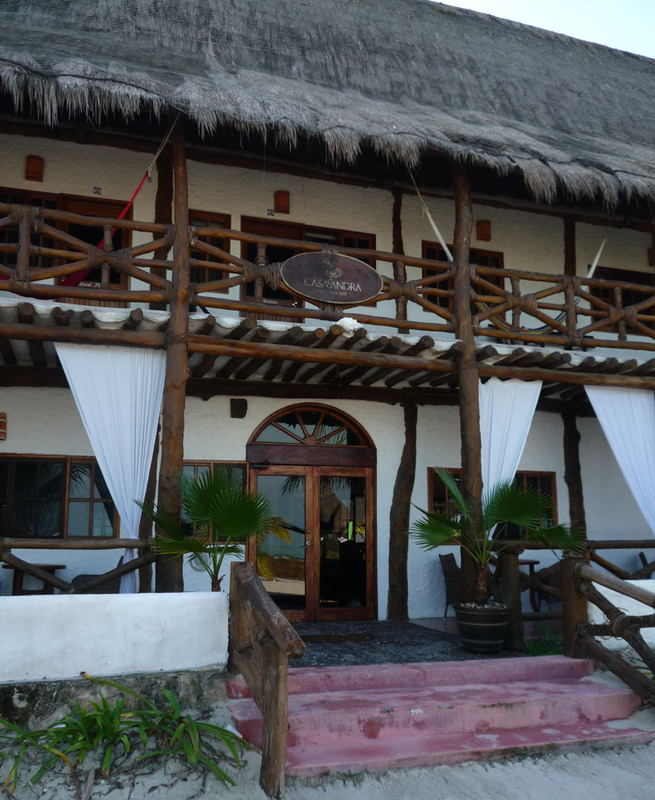 A charming hotel, this beachfront accommodation speaks romantic seclusion. 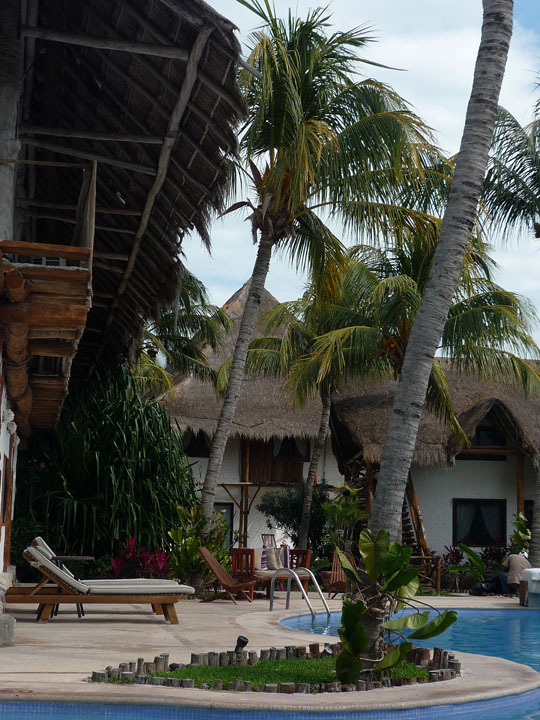 We sat on the porch admiring the view over our morning coffee and breakfast of tropical fruit, fresh-baked pastries, and Mexican scrambled eggs. 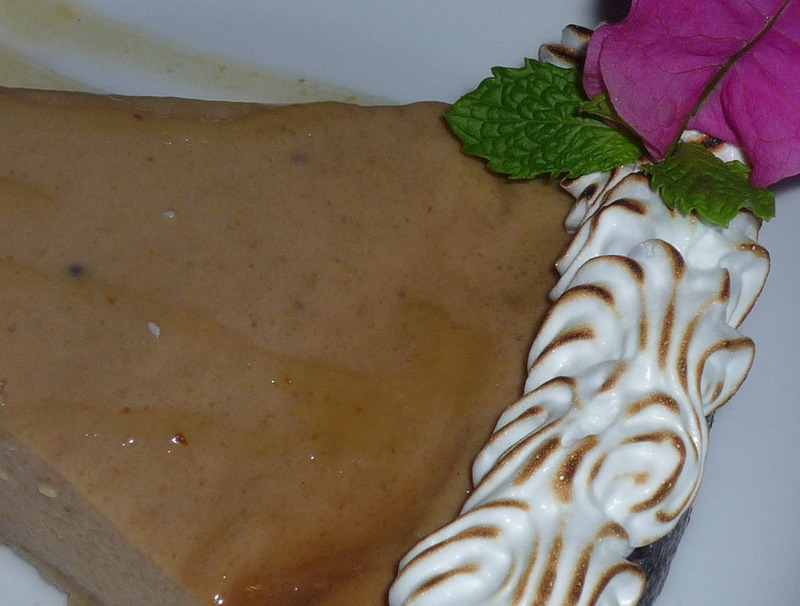 CasaSandra serves food with a Cuban flair. 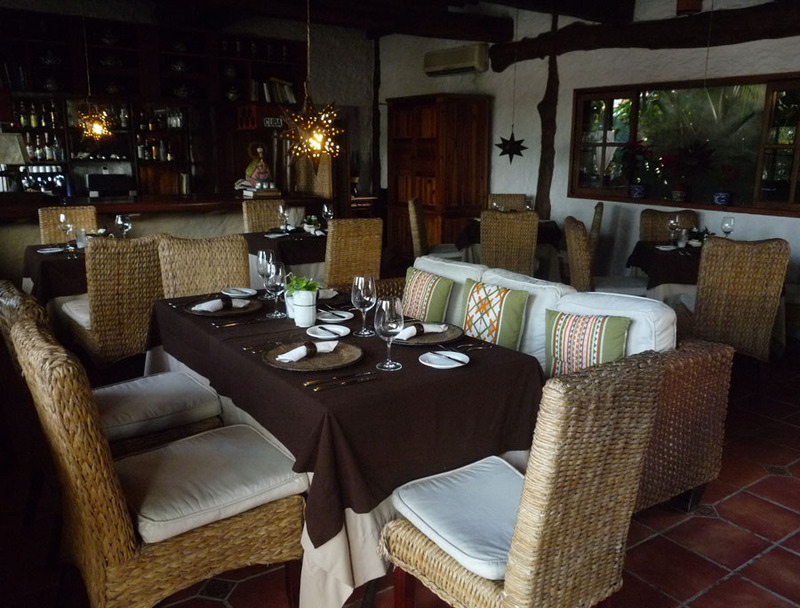 We dined twice in total intimacy with a bottle of Santa Tomas 2009 Chenin Blanc while listening to soft Cuban music. Our dinners: Filete de pescado al mojito cubano y congri and Filete de pescado en salsa de curry y coco. 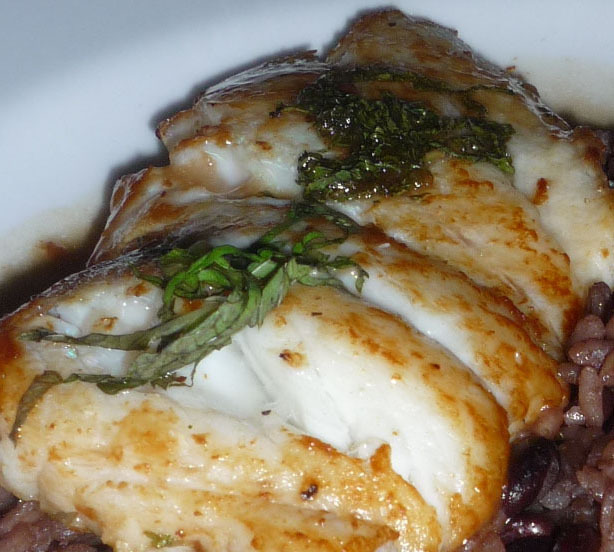 The fish ‘mero’, from the grouper family – mouth-watering. 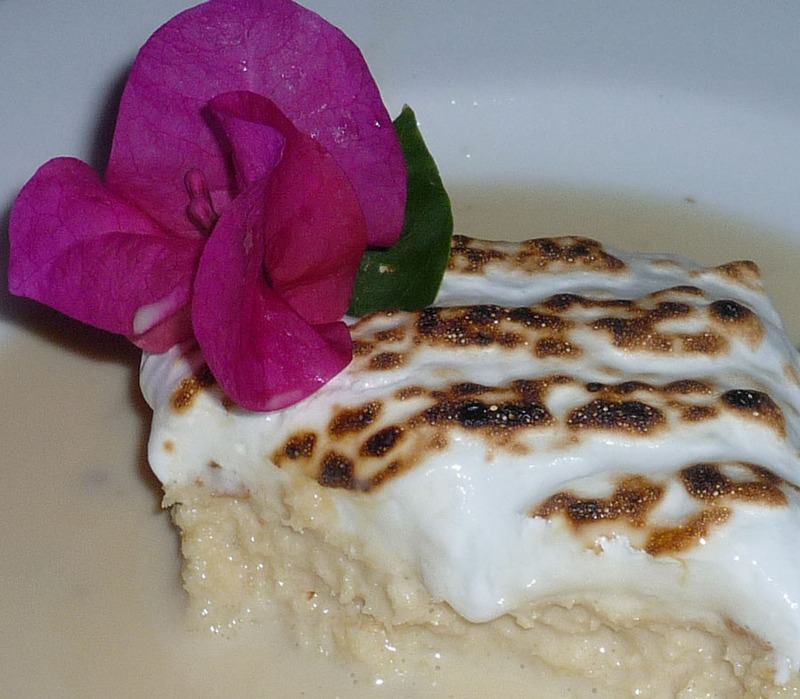 For dessert: Pastel tres leches and Pay de guayaba. The tres leches cake was the best I’ve tasted and the guayaba pie, similar in texture and taste to pumpkin pie only denser. A lazy day around CasaSandra’s beautiful pool and a couple of light snacks to share. 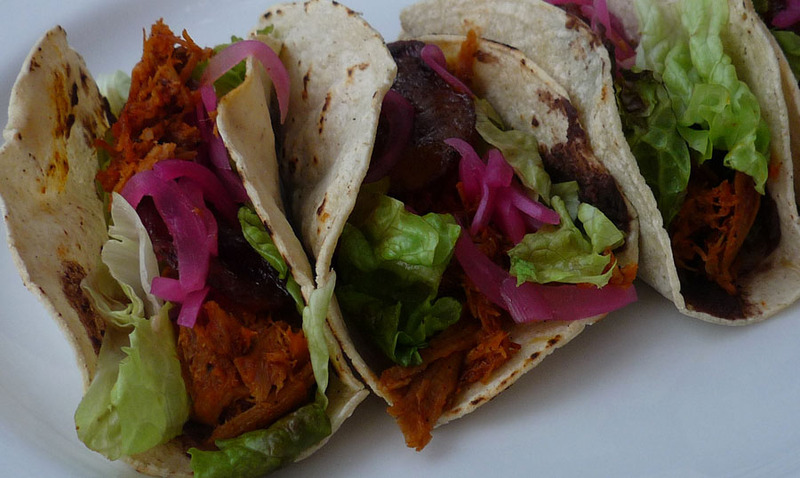 Tacos de cochinita: pork meat, red onion, red sauce, fried banana, and black bean mash. I loved everything about this dish: not too heavy a snack as it includes some good rabbit food. 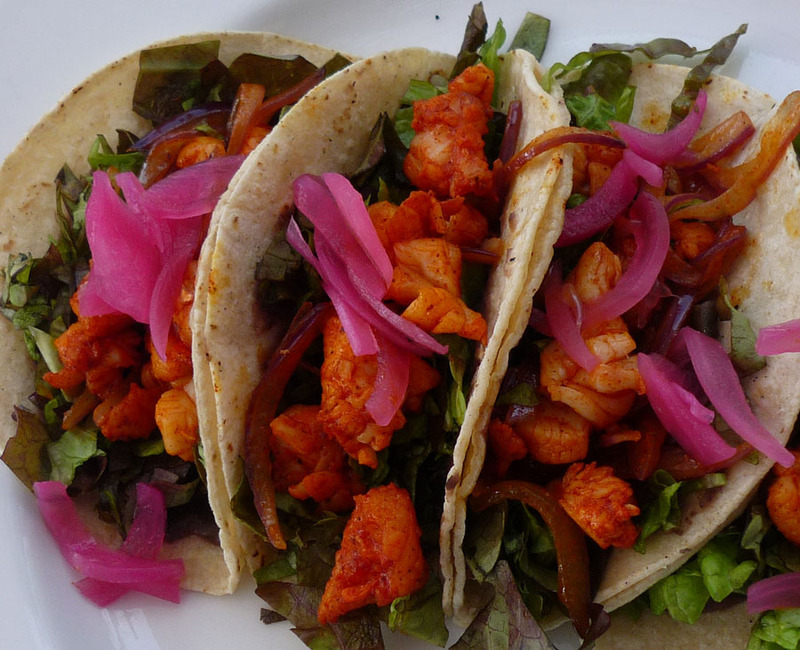 Tacos de langosta. Another great pool side dish and not too spicy, but I do love spice. 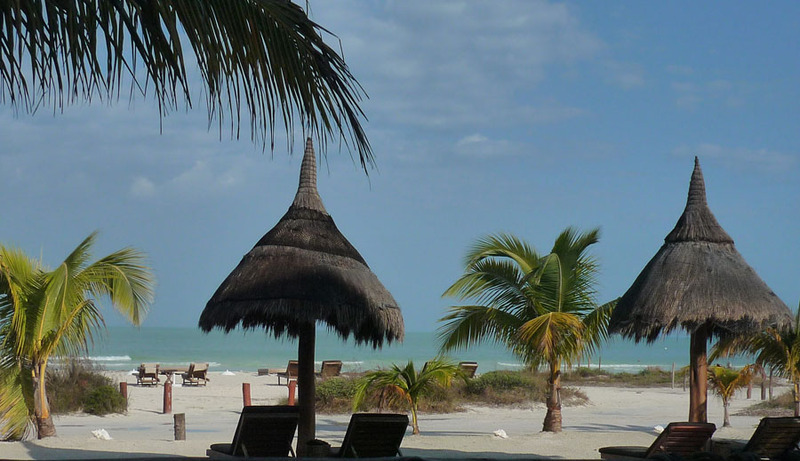 Be sure to check out CasaSandra if visiting Holbox. The ambiance of this hotel wonderful, the staff terrific and friendly, and the service excellent! Next stop and blog, Mawimbi.